Whether you are a sporty, simple or a chic girl (or all of the above), you can’t go wrong with these fashion forward styles. These 9 styles should be able to give you some inspiration to strut on your campus. How will you slay during your fall and/or spring semester? All black and layers! Where can you go wrong? Tip: All you need to complete this look are some gold bangles and a nice gold watch. This is the ultimate cute preppy look. This could be perfect for you biochemistry class. Tip: Replacing heels with ballerina flats is perfect if you want to be comfortable all day. We’ve all had moments where we’ve over slept and damn near missed our midterm. This is one of those looks where you make “sloppy” look good. This is look is effortless yet it states that you’re a fashionista. 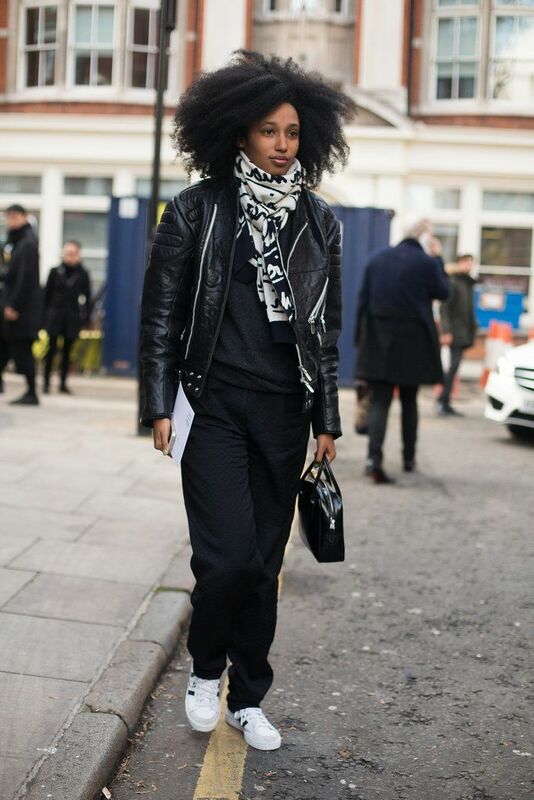 Tip: Because this look is basic, have as much fun with the accessories. You can even add some print. Rock a modernized 50s look with this cute ensemble. Tip: I have none, this is just perfect! Let’s not forget about the lovely 70s. Bell bottoms aren’t completely out, especially if your rock them like this. What’s even more perfect about this outfit is that it can suit any body type! All white with a pattern bottom is a yes for campus. Simple and chic. Go crazy with the patterns. Honestly, it’s the best way to show that you’re un-apologetically carefree. Lastly, this flirty look could be ideal for the last week of class. Just when you’re load is lightening up, your look can get brighter. Tip: Color blocking is allowed. 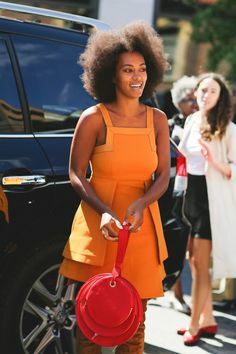 Get a purse with a bold color and just slay the day away.